- Sunday, March 12th, 2017. The Club received a wonderful letter of thanks. The letter was read aloud during the March Monthly General Members Meeting Please Click here to view the letter on the Club's Facebook Page, a great read. Bravo Zulu. - FRANCO SCANGA'S GUINNESS WORLD RECORD UPDATE. The following was an e-mail received by the Club from Franco: "WE did it! Words cannot express how much I appreciated your presence at the Talk For A Cure event! With your help, we set (unofficially) the World record for most speeches in 24 hours by completing 23 speeches in just under 12 hours! Your participation and support played an integral role in achieving the record, but more importantly, together we created more awareness of the importance of cancer research. So far, we have raised an amazing $6,485 and counting! The Talk For A Cure event boosted awareness and pledges keep coming in! I will update you on the final amount raised in the coming weeks. Great to know we were all there for the same goal: to support the Canadian Cancer Society. Simply put- couldn't have done it without you! Thanks so much for taking the journey with me! Hope you enjoyed it as much as I did! Best Regards, Franco Scanga." (updated May 3rd, 2016). Please Click Here to view a Facebook photograph of ONVC President William (Bill) Holroyd and Franco Scanga. - Ahoy all ONVC Shipmates and friends of the Club! For those interested in stoker trade pins, please Click here, then sign in to your Facebook account to view a Facebook Page/link with information on where and how you can obtain this pins. If the link does not work, you may also search for the page by typing "stoker trade pins - $15" through your Facebook account. You may also send an e-mail as Stoker Pins are still available, just email "pinguy384@gmail.com" for details. Some of the proceeds will go to the Club's Building Accessibility Fund. You can also view the shared FB link on the Club's Facebook Page and/or Group. Thank you. Stoker Trade Pins, click here. - The Club is now in the next stages of the application process for a grant to help pay for a building accessibility project the Club is working on. One of the conditions of the application process is that we can show due diligence in soliciting donations from friends of the Club to assist and pay for this very important project. Therefore, we are formally advising all interested parties, that all monies raised through our Donation Jug will be 100% dedicated to our Building Accessibility Fund. Portions of donations received through our Nautical and Lower Deck functions will also be dedicated to the fund. If interested in donating to this fund and do not wish to use our Donation Jug, we are also accepting donations that will be deposited directly into our Building Accessibility Fund and will be used only towards this project, you may leave an envelope with your donation at the Clubroom bar with the Duty Steward to the attention of the Treasurer/Building Accessibility Fund (your name is optional). Thank you for your support. ONVC Trillium Chair and ONVC Executive. Please Click Here! if you wish to donate. Thank you. - The "Early Bird" draw winners for paying their dues before October 31st, 2015 are Daryl Marshall and Michael O'Hare. Their names were drawn during the November 8th, 2015 General Members Meeting, draw was completed by past ONVC President Robert Perks. Congratulations Daryl and Michael. - Some of you may already know about this great CFOne card in which case I encourage you to pass the info along! For those who don't know about it, I encourage you to look into it! Please Click here to view a .PDF version of the letter received and information on how to obtain card. - The "Early Bird" draw winners for paying their dues before October 31st, 2014 are Steve Rowland and Susan Connelly-Sinclair. Their names were drawn during the November 9th, 2014 General Members Meeting, draw was completed by ONVC President William Holroyd. Congratulations Steve and Susan. - The "Early Bird" draw winners for paying their dues before October 31st, 2013 are Donald Stewart and Bob Long. Their names were drawn during the November 10th, 2013 General Members Meeting, draw was completed by ONVC President Robert Perks. Congratulations Donald and Bob. - Congratulations to the Wednesday Night Darters!!! They won the 2nd Annual "We vs. They" Dart Tournament against the Club's Thursday Night Fun Darters. The series is now tied 1 to 1, next year's tournament will be for the rubber! - An interesting read regarding the HMCS Kootenay. Steve Rowland takes part in a memorial Wednesday (October 23rd, 2013) in Halifax for those lost in the fatal 1969 explosion and fire on board HMCS Kootenay. Rowland, now of Bowmanville, Ont, was a hull tech on the ship. Click here to read. Steve joined the ONVC earlier this year. Bravo Zulu Shipmate! - An interesting read regarding ONVC Shipmate Bill Peter's (wife Heather) granddaughter Scarlet. Article was in the Oshawa Express, this entry was added Oct 9th, 2013, hopefully the link will remain active for some time. Click here to read. - The Friday Night BBQs will be beginning once again soon (May)! Please see the volunteer sign up sheet posted on the Club's bulletin board on the Lower Deck of the Club. - Congratulations to fellow Shipmate Bill Peter. On April 12th, 2013 at 10:00 AM, Bill will be giving his 200th whole blood donation. He started donating at the age of 18 while attending high school. The Canadian Blood Services wish to celebrate this occasion with a party that will be at the Blood Services in Oshawa (Taunton Rd. & Harmony Rd.) and will continue on after at Bill and Heather's place of choice. They hope Bill's friends and family will come for the party and celebrate his momentous achievement. Bill, family and friends will be meeting after 1:00 PM at T. Williams Pub (located in the Giant Tiger Plaza, Ritson Rd. & Taunton Rd.) for drinks. Congrats once again Bill! - The Oshawa Youth Dart League is returning to Oshawa and will begin play at the Oshawa Naval Veterans' Club. Pre-registration is starting at the Club on Sep 15th and 22nd, 2013 at 10:00 AM. League to begin on Sunday, September 29th, 2013 (9:00 AM to 12:00 PM). Please see our Upcoming Events Page (click here) for additional details, you may also read the flyers on the Club's Bulletin Boards and Information Panel. For more information, e-mail Shawn Irwin at oydl@rogers.com or via telephone at (905) 926-9994. - Early Bird Winner Michael Wodnisky wished to thank the Oshawa Naval Veterans' Club Membership for his 2013 Membership Dues. Even though he won, he wanted to express his appreciation to the Membership. So from Michael, THANK YOU EVERYONE! - The "Early Bird" draw winners for paying their dues before October 31st, 2012 are Michael Wodnisky and Douglas Imrie. Their names were drawn during the November 18th, 2012 General Members Meeting by our newest Shipmates David Reid and Bill Peter. Congratulations Mike and Doug. - The winner of the 2nd James Rowlands canvas oil painting was Michael Wodnisky. Michael was the lucky name drawn following the April 2012 General Members Meeting to win the painting. Congratulations Mike! All monies raised was donated to the ONVC Colour Guard for their trip to Nova Scotia this May for the RCNA Annual Reunion. - We have recently (December 2011) been the recipient of a new thermal modular shed. This shed was supplied to the Club by New Building Solutions (owner Harold Cottom). Please Click here! and take the opportunity to view the webpage with information and photographs of our new shed. Thank you once again to Harold Cottom, owner of New Building Solutions. - The winner of the James Rowlands canvas oil painting was Michael Ruckstuhl. Michael was the lucky name drawn following the December 2011 General Members Meeting to win the painting. Congratulations Mike! - The O.N.V.C. "Tugboats" would like to sincerely thank all who participated in the events at the "Tugette Kathy" Memorial/Benefit Dart Tournament on Saturday, November 5th, 2011. The tourney had 60 registered players and an estimated 40 spectators. A special thank you to the donations of time, food and prizes. Thank you again from the "Tugboats". Toot! Toot! - The sign up board for the 6th Annual Moe Dixon Memorial O.N.V.C. Golf Tournament is now up on the bulletin board. So get your foursome ready and sign up a.s.a.p. with your cash ($35.00 per person, payable by May 14th)! Includes, golf, cart, meal and prize. This event usually sells out fast, so you do not want want miss out. There are two "Closest to the Pin", long drives for golfers over and under 50 years of age, best dressed golfer, jug of draught for foursome who tees off last and jug of draught for foursome who finishs in last place. For those who know him, Jamie Loverock will be shooting left handed this year. Great time had by all every year. Any questions, please contact Ken Gillespie and/or Andy Bak. - The O.N.V.C. Friday Family Night BBQs will be commencing soon! The first BBQ will be held Friday, May 6th, 2011. This is a family friendly evening, all are welcome, moms, dads, kids, family, friends, etc... Bring them all down to the Club! We need volunteers to assist with the BBQs this season. So if you have 4 hours to spare on a Friday evening at the Club this season, please sign up on the sheet located on the bulletin boards at the Club or contact Rod Ayre for details. We have a total of 16 weeks to fill. So if we want BBQs, please sign up a.s.a.p. Thank you. - The "Early Bird" draw winners for paying their dues before October 31st, 2010 are Jack Craighead and Richard Bickle. Their names were drawn during the November 21st, 2010 General Members Meeting. Congartulations Jack and Richard. - The winner of the "Twonnie" 50/50 draw that took place during the November 21st, 2010 General Members Meeting was Jane Kibby's sister, Helen C. Anthony. Thank you all who entered. She won a total of $88.50. - As reported by our Sports Chair, the O.N.V.C. would also like to say well done and Congratulations to Lenny and Paul for their new GUINNESS BOOK OF WORLD RECORD IN DARTS. Their time, 36 hours, 10 minutes and 10 seconds. Average game took 5 minutes and 45 seconds and also they got another record the most games at 393. Take a well deserved break and sleep. Click here for additional information on their record. - "Tuesday Afternoon Fun Darts". We are looking for all skill level of players who just want to have a fun afternoon. We play out of the Oshawa Navy Club (right here!) located at 320 Viola St. just East of the Ritson Rd. Beer Store. Cost is FREE! per night/person. Every Tuesday afternoon, starting November 2nd. So if you want to have a fun afternoon or just a little pratice for another league, come on down! New teams every week, so even if you can only come once or twice a month, you will always be welcome. Darts start at 2:00 PM. - The random draw took place for the Sidney Crosby framed picture during the October 17th, 2010 General Members Meeting and the winner was Doug Clarke. Thank you to Lisa Harmer-McKay for the framed picture. - For those members interested, copies of the fall "Yardarm National" are available to pick up on the lower deck. Those who wish to take them and keep should do so. There are currently 20 copies available. - Euchre Tuesdays. 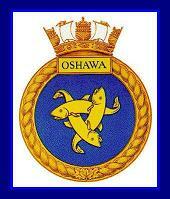 Progressive Euchre hosted by Don Wilson on the Upper Deck of the Oshawa Navy Club beginning at 7:30 PM every Tuesday. - Euchre Wednesdays. Progressive Euchre hosted by Don Wilson on the Upper Deck of the Oshawa Navy Club beginning at 7:30 PM every Wednesday. - "Thursday Night Fun Darts". We are looking for all skill level of players who just want to have a fun night. We play out of the Oshawa Navy Club (right here!) located at 320 Viola St. just East of the Ritson Rd. Beer Store. Cost is $3 per night/person. Every Thursday night, starting September 9th. So if you want to have a fun night or just a little pratice for another league, come on down! New teams every week, so even if you can only come once or twice a month, you will always be welcome. Sign up is at 7:30 PM and Darts start at 8:00 PM. - TAKE THE NAVY CLUB CHALLENGE/QUIZ, CLICK HERE TO PLAY. For your convenience, if you are already a existing member of the O.N.V.C. and wish to pay your Membership Dues ($50 Social, $45 Active or $25 Retiree plus a $2.00 processing fee) via credit card or Pay Pal, please choose the amount of your dues and click the "Buy Now" button below, then follow/read the instructions and pay online securely from the comfort of your home. Transaction will appear on your credit card statement as "PAYPAL*OSHAWANAVAL". Thank you. - Come on down to the "Lower Deck" to watch the game on the big screen (baseball, football, hockey, etc...) !! !